That fateful day dawned at Ujjain. Ujjain was not part of my plan. So why did I go there? Did lord Shiva lure me? No! a fatso did. 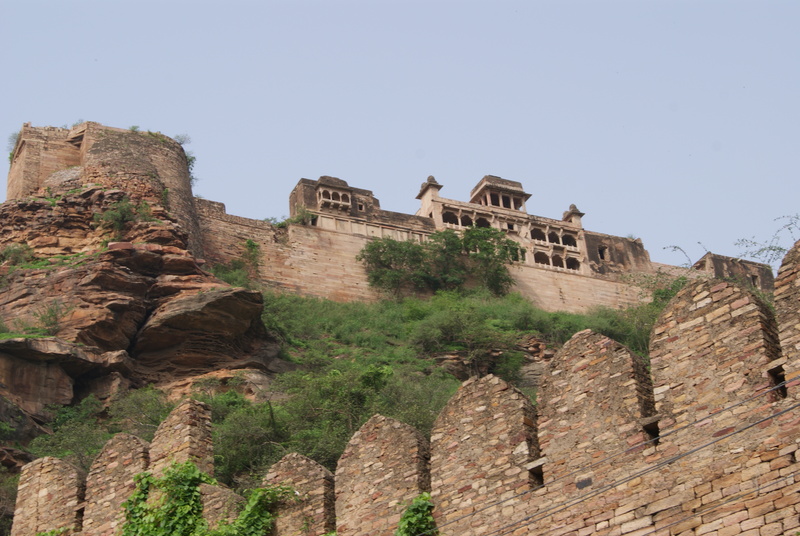 More on that a little later, but for now I was on my way to Gwalior. It was a hot and humid day. Driving on the worst road of the trip, my car got stuck in mud twice. Combination of German engineering and Indian driving skills saved the day. Me and my friends needed a good bath and so did my car. No sooner than we entered the city, we drove straight to a car wash. We were so exhausted, and sight seeing plans that evening was called off. 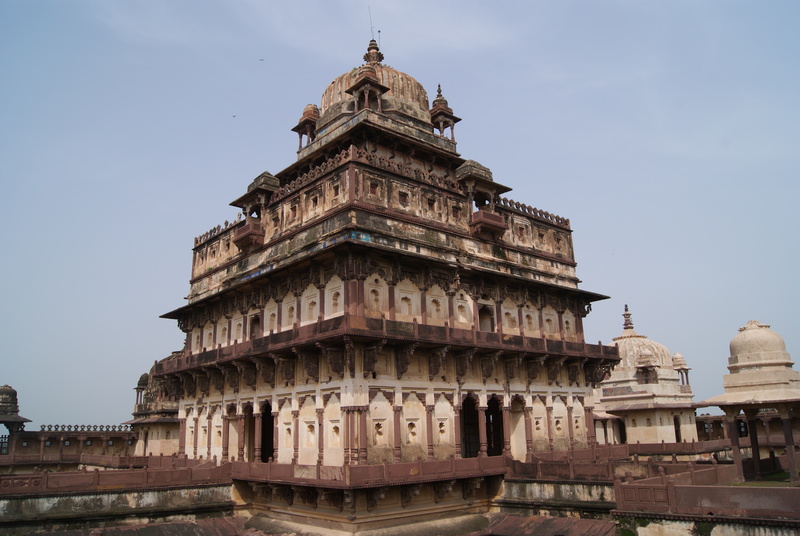 Driving 35kms from Orchha, I entered a little town called Datia. Following the direction showed by my hungry stomach led me to this little town. I had not eaten anything since morning and was looking for a good meal. Little did I know that this part of the country does not wake up for the most important meal of the day. Having repeatedly shown a sweet shop as a place for breakfast, I settled for a sweet beginning. The owner of the shop pointed me to a interesting palace tucked away inside the noisy little town. 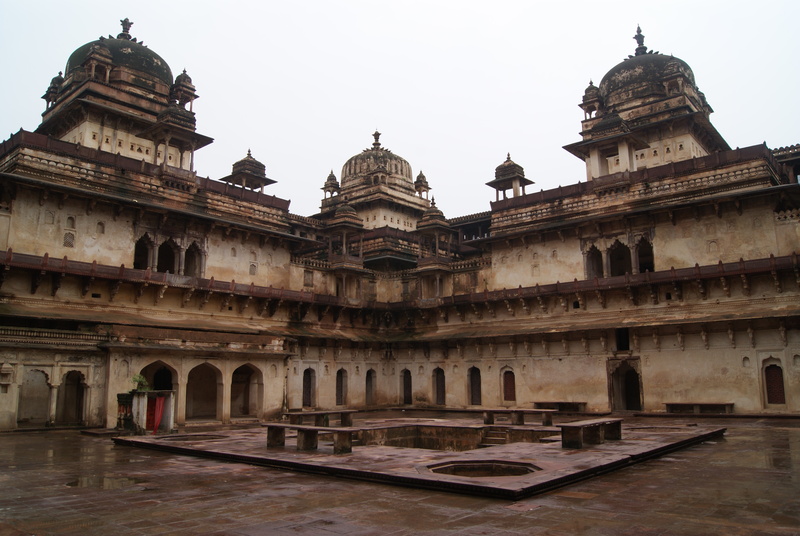 The Palace was no different from the one I saw in Orchha.